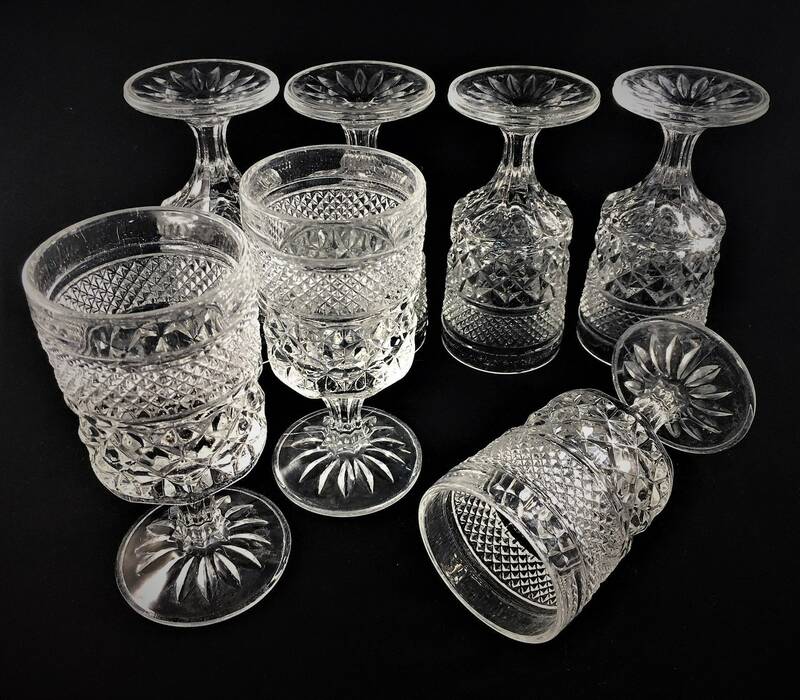 Featured is a nice set of seven vintage glasses from Anchor Hocking. These 5 Ounce Claret Wine Glasses are 5 3/8 inches tall and in their popular Wexford pattern which was produced from 1962-98. These glasses are in great condition, free from any chips or cracks. All four pieces for one low price.